With its chromium plated brass barrel the Harrier Metal Pencil is ideal for promotions where a high perceived value is required but at a very competitive price. It’s an excellent choice for applications where the written message may need to be erased or where the click-action of a pen would be unacceptable in environments such as libraries, seminars or training rooms. It is fully compliant with current safety regulations and comes with a 0.7mm diameter HB lead as standard and two spare refills. 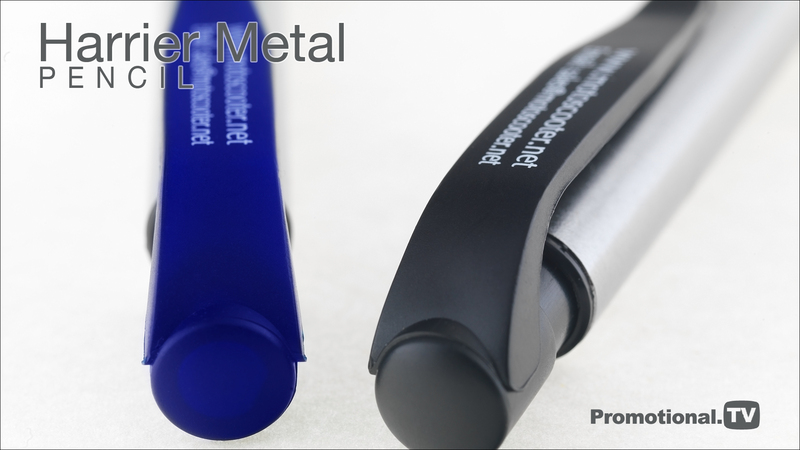 The Harrier Metal Pencil, operates on a push-button mechanism and has the same large print areas as the Harrier Metal Ball Pen and plastic versions. We can print up to 6 matched colours and laser engraving is also available for that extra touch of luxury. This popular pencil is also available in matching pen that can be supplied individually or as a set, together with a range of presentation packaging.